Junior Winds is the select team of the LHSS Elementary Band program in the Lutheran elementary schools, but is also open to students in other private and public school settings. The Junior Winds rehearse on Monday evenings from 7:15-8:30 p.m. during the school year. They perform in three concerts, as well as a grade school tour day to selected local Lutheran elementary schools. In the LHSS Elementary Band program, highly proficient students in grades 6-8 are invited by their teacher to be placed in this ensemble. The fee for the Junior Winds program is $30 per semester. Students in other schools may request audition and enrollment information by contacting Mr. Matt Janssen, LHSS Director of Instrumental Music at 314-833-1077 or mjanssen@lhssstl.org. Junior Singers, a select choir for middle grade singers, rehearses on Tuesday evenings, 7:00 to 8:30 pm, in the LHSS choir room. Membership is open to any singer in grades five through eight desiring an enriched choral experience. An audition is required. The choir performs at LHSS concerts and sings music appropriate for the development of young voices. Singers learn the foundations of healthy singing, music reading, listening, and ensemble skills. LHSS choir director Greg Gastler conducts the ensemble, and is assisted by Kelly McCord, elementary music specialist with the Lutheran High School Association. To request more information and schedule an audition, contact Greg Gastler at choir@lhssstl.org or call 314-833-1063. Tuition for the Junior Singer season is $60.00 payable to LHSS (due at the first rehearsal). 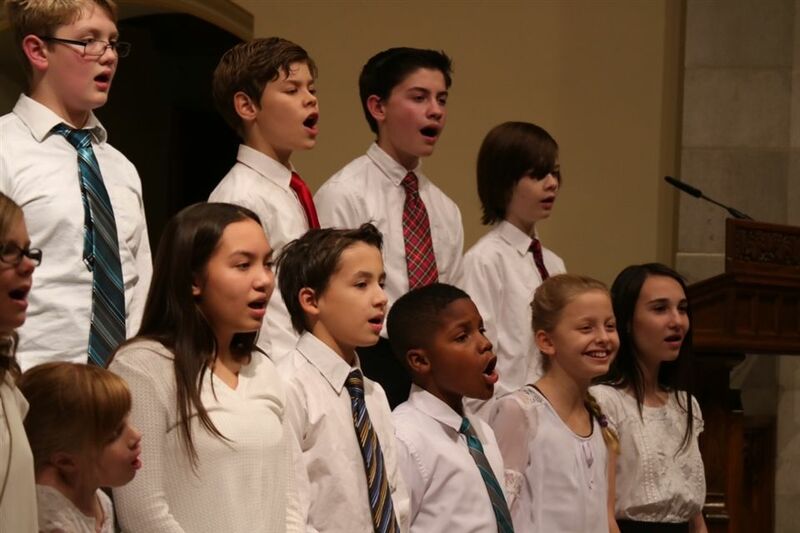 Junior Singers may come from any school setting — Lutheran, other private, public or homeschool. Greg Gastler is in his tenth season as choir director at LHSS. He enjoyed nine years as Associate Director with the St. Louis Children’s Choirs, and served seven years as music educator at Salem Lutheran School in Affton. Other positions include music marketer at Concordia Publishing House; choral director in Texas public schools; adjunct faculty at Temple Junior College; and choir director in numerous churches. Mr. Gastler has performed more than sixteen seasons with the “Bach at the Sem” concert series at Concordia Seminary. He earned his undergraduate degree from the University of Texas-Austin, and the Masters in Church Music degree from Concordia University-Chicago. Kelly McCord has taught elementary classroom music and choirs for nine years, first in the Shawnee Mission, Kansas, public schools, and most recently in the St. Louis Lutheran elementary schools. She continues as an elementary music specialist for the Lutheran High School Association, where she teaches at Salem Lutheran School (Affton) and St. John’s Lutheran School (Arnold). Mrs. McCord earned her undergraduate degree at Valparaiso University, where she was honored as concerto competition winner on piano. She earned her Master of Arts in Teaching degree from Washington University in St. Louis, and she continued her study of music at the Conservatory at UMKC. Mrs. McCord specializes in Kodaly and Orff methodology, and she incorporates both into her teaching.